3 Books So Mind Blowing They'll Make You Want To Change Everything — Stop. Start. Do. In life, most people have a defining moment, and this defining moment was an amazing lifestyle change. That’s when I dropped out of college in Michigan and drove to Florida to pursue my dream job. Funny enough, three books ultimately influenced my decision to live a life for myself rather than what is pushed into the mainstream. These three books are dear to me, and I have a feeling will be dear to you as well. So let’s dive into the three books that changed my life forever. But, the book of his that truly stood out to me was Mastery. Of course, reading any article on Stopstartdo makes you a go-getter by nature, and that is the influence that this book provides. Mastery is a collection of stories of all of the greats we have heard of Beethoven, Henry Ford, and Mozart just to name a few. Although, I think the actual value in this book is the ability to identify with what Robert is trying to teach you. Life is about mastering something, and to be someone who goes down in history comes a big responsibility. One which most people will never embark on. We, on the other hand, love to dive head first into creating a permanent change for this world. 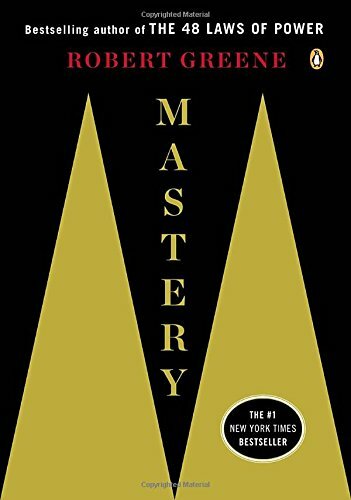 To achieve mastery Greene talks about venturing into the darkness by following your natural inclination toward becoming the best at something. Maybe you like health and fitness, maybe music or whatever your one thing is, it is what you have to pursue. No matter who or what is in your way. Even your parents, friends and family may be standing in your way to accomplishing your dreams. Which can be very problematic. Going against those who hold our foundations and have raised us can be such a hard thing to do, but in the quest for mastery, anything goes. Well, I haven’t drastically altered relationships because of reading this I took to heart that your situation may be what is causing stagnation. Which made me leave the Frat House I was living in and drive to a new environment in Florida. My dream job was waiting and with it a circle of productive, friends I would have never imagined. Every day is now a mastermind and working towards mastery seems effortless. Nicholas is the writer of the Black Swan, but the concept of this book isn't a ballet dancer. Instead, it is a mind opening piece of fictional non-fiction. He writes using a character most can identify with, but he breaks down concepts that would be hard for most to understand. This book caused me to abandon every obligation for two full days as I devoured 400 pages in what seemed like 10 minutes. But, why was it a motivational force in a drastic life change? Well, the concept itself is something I think me and you should keep in our minds. In short, it is things that gain from disorder. There is a commonality amongst all go-getters, hustlers and people trying to better themselves. Muscle doesn't grow unless it is beaten up and broken down, and neither will we. Leaving where I spent 20 years of my life to move somewhere that I knew absolutely no one, on the whim of working a dream job isn’t exactly comfortable. And for most people seems illogical. 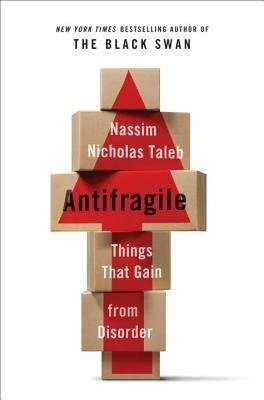 But, the concept of antifragility has always stuck with me. I have to put myself into situations that make me uncomfortable, where I don't have the answers because it will lead to internal growth unlike ever before. A prime example is when a relationship ends. I know we have all had the experience of breaking up and feeling lost, only to rebound and grow much beyond who we previously were. That is what always needs to happen. A bit of momentum provided by hitting the wall and bouncing back with more force than ever. Keith is a master networker and before buying this book (thinking it may be about health), I understood the importance of networking. Imagine getting the chance to be friends with Richard Branson, Elon Musk, and Bill Gates. Do you think you life would change a bit? I think with a network like that it seems that anything would be possible. In Never Eat Alone, Keith continually reinforces the fact that everyone (including you and I) is a sum of our networks. By growing and expanding our network we not only increase our self-worth and what we can get done, but we build a powerful foundation to lean on in hard times. Here is where it gets interesting, though. Relying on others is not how to build a network, instead providing the most amount of value possible to other parties is what truly makes a good network. You should always be aiming to create everlasting friendships and relationships that leave others wanting more from you. With this message, I realized that moving to Florida not only would benefit me and my network but allow me to provide immense value for those that I want as my mentors. I could help to craft a beautiful network by putting myself out there and helping those I look up to. That was an opportunity you never let fly by. These are some of my most prized books. They have taught me countless of lessons and a lot more than I can express in a short article. If there were one thing that I wanted you to take from this it would be that putting yourself out there, is what makes dreams come true. Life is something so malleable that it can be crafted to anything you want. The first step is knowledge and getting both the motivation/know how to take control of your life. Success will only happen when you start on the right path. These three books will kick start your potential energy and provide the momentum needed to ride out into your future. Let me know if you have read any of these books, and what you think! Ferrazzi, K., & Raz, T. (n.d.). 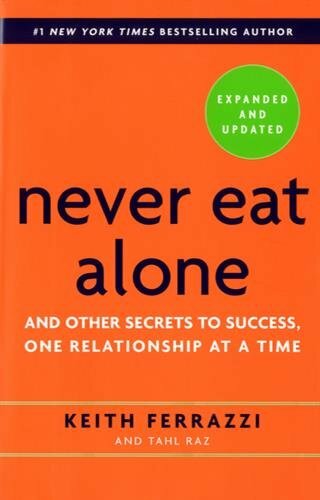 Never eat alone: And other secrets to success, one relationship at a time. Hey I am Austin, Owner of Heightened Living, I am a productivity specialist, lifestyle hacker, habit creator, and all around self-improvement junkie. Everything I write and do is aimed at taking your life to great heights. Check me out at Heightenedliving.com and let me know what you think!